Unlike your average hotel or motel, Quest Christchurch Serviced Apartments are the perfect choice for those who enjoy the freedom of a self-catered holiday. The one, two and three bedroom apartments come with a laundry, a private balcony and a spacious living room. 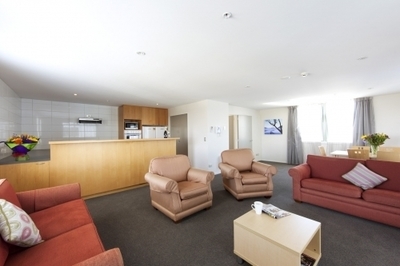 The fully-equipped kitchens make it easier than ever to cook your own meals, and duty-free alcohol from nearby Christchurch Airport can save you even more money during your stay. Quest Christchurch Serviced Apartments are conveniently located within walking distance from boutique shops, cafes, restaurants, Cathedral Square, and a tram station. These spacious apartments are suitable for both short-term and long-term stays, with a continental breakfast and parking available upon request.